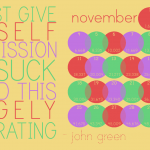 NaNoWriMo 2015, Lets DO THIS!!! 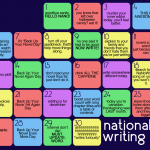 National Novel Writing Month 2015… Lets DO THIS!! Whenever I’m away for a bit of time I always feel the need to apologize for not posting. But here’s the thing, life happens and sometimes I can’t fit blogging into that life (despite my efforts). The past few weeks has been busy with The Husband’s birthday and the beginning of my holiday gift shopping. I’ve had little time to actually sit down and just write. This problem does not bode well for the upcoming month… National Novel Writing Month. 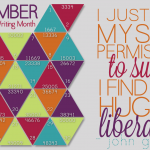 For the past few years I’ve participated in this in an effort to force myself to write and do it for me. The first two years I finished writing the 50,000 word cap within the 30 days. The years after, I was not as focused and thus did not finish. Despite not finishing the past few years I’m going to continue to try. I have a vague idea of what I want to write, but I’m not sure where to start (isn’t that always the case?). So instead, I’ve spent the past few days drafting some character sheets and making a novel “vision board” on Pinterest to hopefully keep me inspired during those days of limited inspiration. Aside from a vision board (I know it sounds cheesy, but it totally works sometimes), I have a few staples in my how to survive NaNoWriMo aresenal. I find the best place for me to write is at the local write ins with my fellow NaNoers. I’ll credit my success from the first few years to that. By going to write ins all the time i realized how nice it was to be surrounded by others who were on the same crazy ride I was. If no write ins are in your area, start your own! Pick a coffee shop, advertise it on the message boards and enjoy. I’ve been slowly trying to train myself to drink more water and find that I write a bit better when I have less caffeine and more hydration running through my body. NaNo is both a marathon and a sprint. But don’t beat yourself up if you don’t work up to for 1,667 words per day. There are days that you have 500 words and days where you write 4,000. Eventually it evens out a bit. The past few years I’ve also designed a few calendars to track you progress, despite not having one for this year, the dates and word count are still correct, even if where that date falls in the week is not. 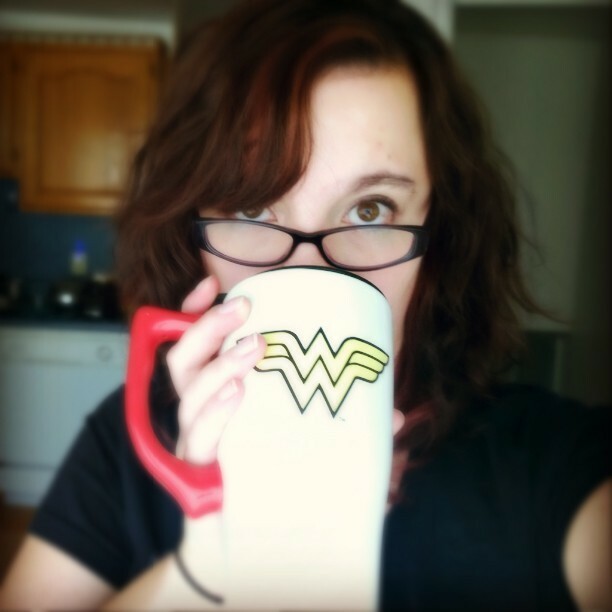 If you’re participating in NaNo this year, feel free to add me as a writing buddy!